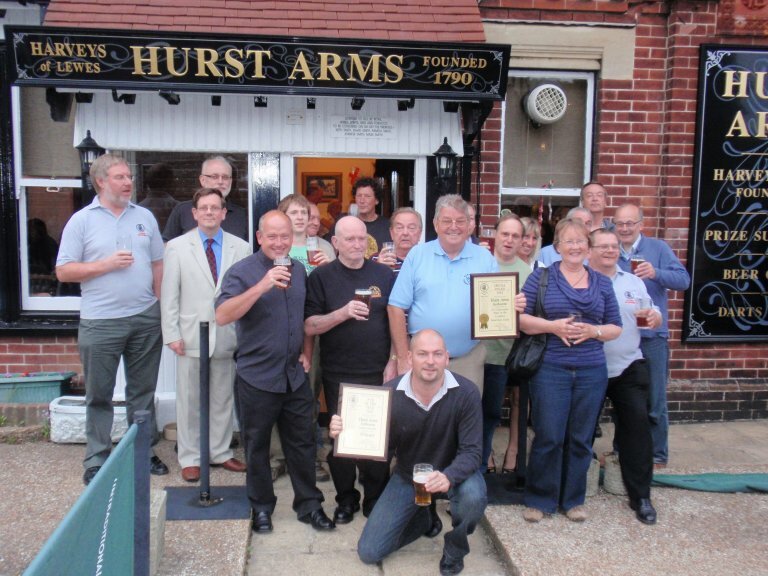 In early June, branch members gathered at the Hurst Arms, Eastbourne, to celebrate the success of the pub under two generations of landlord and landlady, Keith and Pamela and latterly David and Jenny. The result of the vote bucked the trend of recent years in two ways. 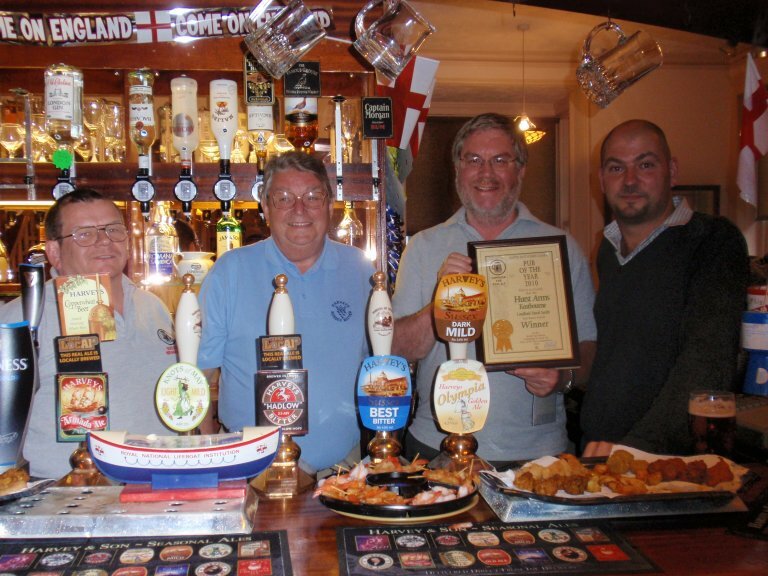 It is some time since a pub in or around Eastbourne has won the award and it also some time since a tied house has triumphed. 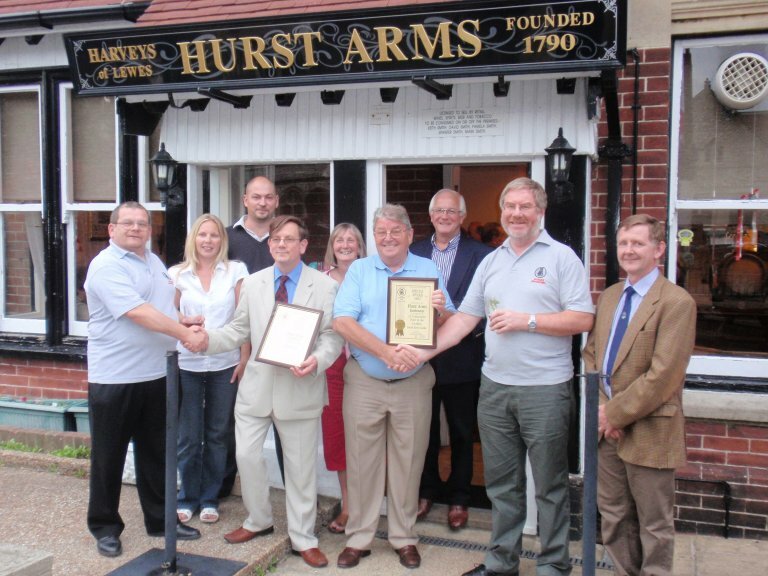 The Hurst sells from across the Harveys range and the ales are, to quote recent editions of the Good Beer Guide, ‘served to an unfailingly high standard’. In making the award, branch chairman Peter Page-Mitchell reflected on the National CAMRA Members’ Weekend held in Eastbourne in 2009. It was also the time when the newly on line National Beer Scoring System was becoming widely used. With so many visiting CAMRA members in the town, it was not surprising that Eastbourne pubs were assessed by large quantities of drinkers. From these scores the Hurst came out top of the town. 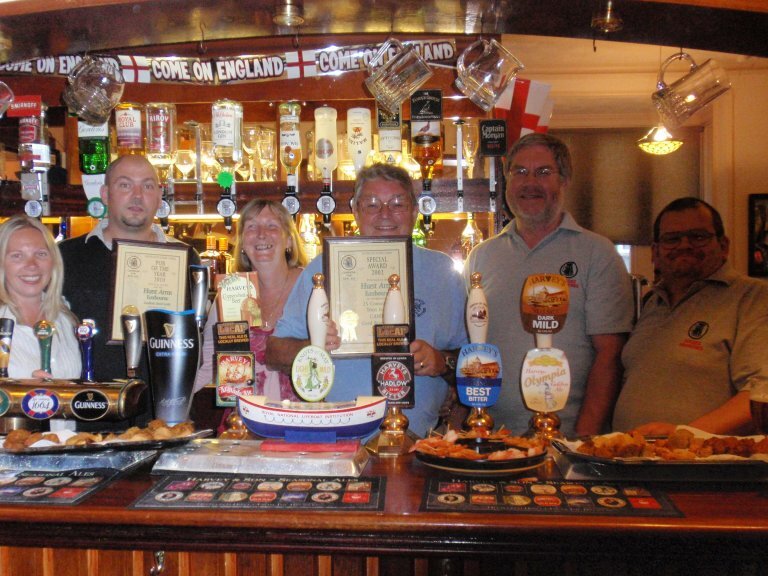 In common with many other pubs in the town it had increased its beer range for the weekend and sold large quantities. Unlike most other pubs, when the CAMRA members went home the decision was taken to maintain the larger choice of beers. This has proved successful and has ultimately led to this award. 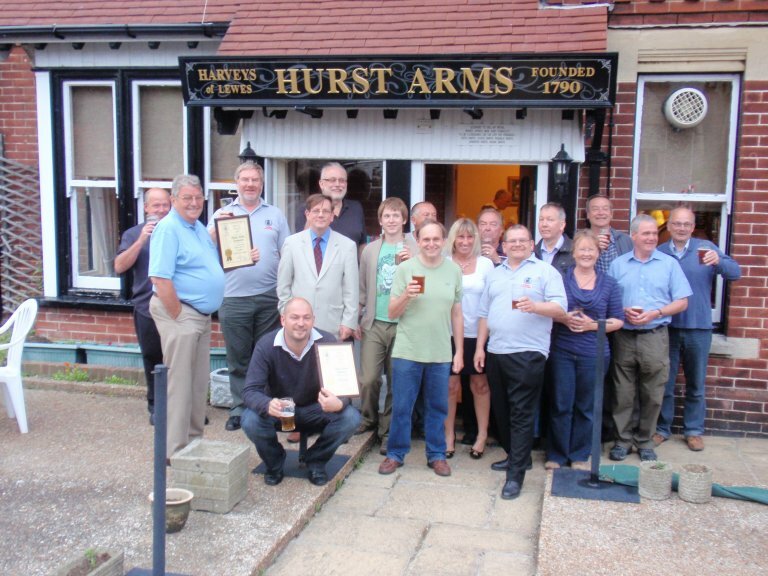 On receiving the award, landlord David thanked CAMRA members for their support and praised Harveys Brewery for the quality of beers available. This was much appreciated, particularly as Miles Jenner and others from the brewery were in attendance and had provided an ‘on the house’ cask of the occasional but very appropriate beer ‘Star of Eastbourne’ to support the celebration.